Every love story has fairy tale moments and every love story demands courage for a happy ending. In Pakistan, where conservatives do not welcome love marriages and many people prefer arrange-marriages and marriage within caste, you would still hear about some great love stories. Love Marriage aren't considered social taboos yet there is a cultural resistance. This article is about such real life love stories that are just amazing. Afzal Khan, famously known as Rambo, used to play a minor role in a PTV comedy show 'Guest House' in 1991. Sahiba, at that time, was one of the well known actresses in Lollywood film industry. Both fell in love and got married. Their love story is regarded as film industry's real and unique love story as a successful actress fell in love with a guy who used to play a role of an extra in dramas. He is from Hafizabad and She is from South Africa. Both fell in love over facebook. Nauman, 18 years old fell in love with 21 years old Zahra.She flies to Pakistan to marry his true love. Daughter of Pakistani Prime Minister, Nawaz Shareef, was courageous enough to take a brave stand for her love. She fell in love with a guy who was not as rich and powerful as her family, both were determined and finally Shareef family accepted them. 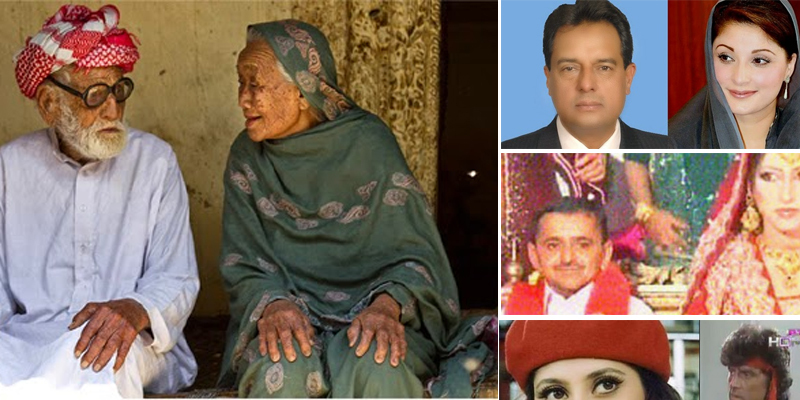 Rumors say that Mr. Safdar used be her driver and both even left their homes for their love and Nawaz Shareef even tried to convince her daughter as well as Mr. Safdar to leave each other for good. Whatever the case may be, both deserve respect for being sincere, strong and determined. Both were celebrities of their countries, and both made significant buzz in both nations. On 12 April 2010, both got married. Married in India and Walima was held in Pakistan. It comes in the list as several reactions were seen in India before marriage and some political parties even tried to convince Sania's family to not to let Sania marry a Pakistani guy.